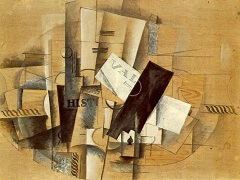 The Billiard Table is a magisterial example of the late style of Georges Braque. With its subtle, and characteristic, colour harmonies of greens, greys and browns, and its free use of line, plane and descriptive detail evoking an interior scene, the canvas epitomises many of the qualities for which the French painter was revered in his lifetime. 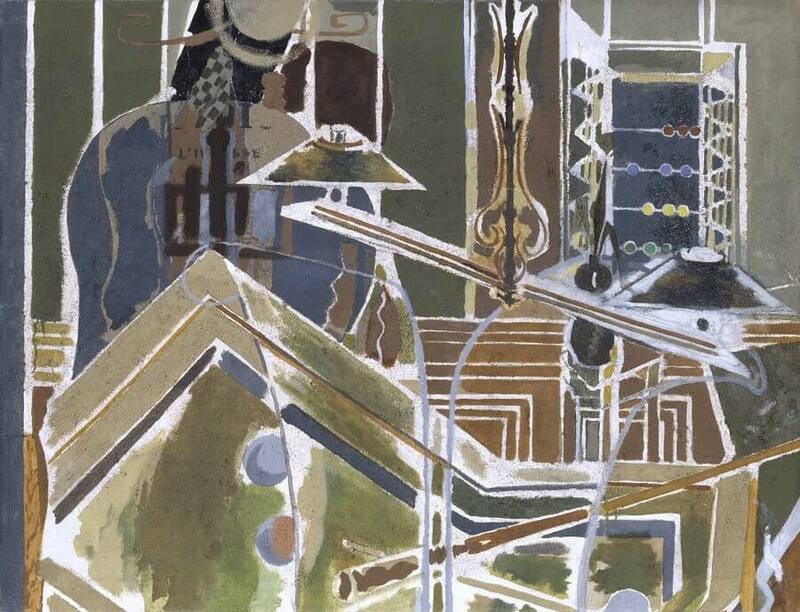 It is one of a series of seven paintings on the subject of a billiard table. 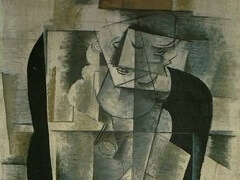 The series was begun in 1944, possibly after the liberation of Paris in August. 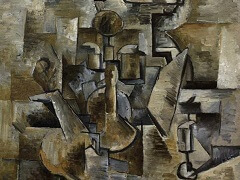 Certainly, the sheer boldness and playfulness of the series stands in marked contrast to the typically more sober and smaller works that Braque executed during the years of the German occupation. 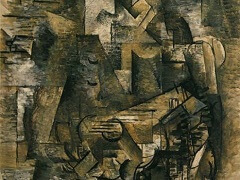 The series consists of three large paintings (in the collections of the Centre Georges Pompidou, Paris, the Metropolitan Museum of Art, New York, and the Museo de Arte Contemporanea, Caracas), this medium-sized work and three smaller and less ambitious canvases. 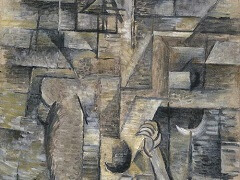 It is likely that Braque was partly drawn to tackle this subject by the challenge of depicting the imposing architectural form of a billiard table without recourse to traditional perspective. The partially folded billiard table in the foreground dominates this complex composition, which is filled with decorative elements such as detailed panelling and a colourful abacus in the background. Ornate lamps hang above the table. 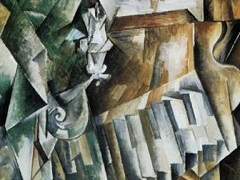 On the left a straw boater, scarf and curving line suggestive of shoulders - perhaps a coat hung over a chair - create an anthropomorphic presence. 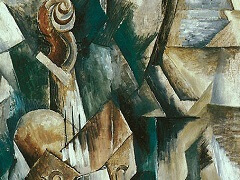 The presence of lettering, which could be read as 'La loi sur l'ivresse' (Law against drunkenness), distantly evokes the interior of a billiard hall and recalls the snippets of words, and wordplays, found in Braque's and Picasso's early cubist works.